May 4, 2018 penwithlitLeave a Comment on Wunderkammer 2018: Hot off the Presses! 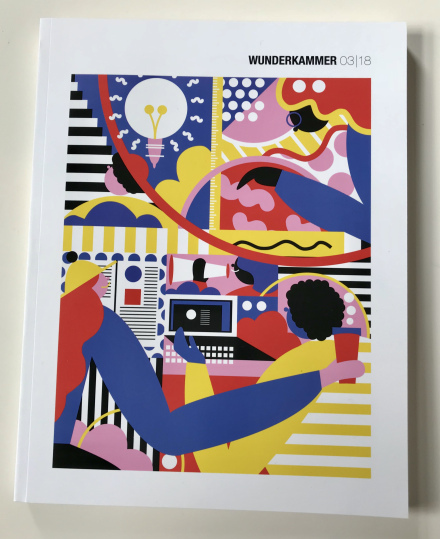 Wunderkammer 2018: Hot off the Presses! This year’s much anticipated edition of Wunderkammer flew off the presses literally a day before both London and New York study trips. This year’s cover has been illustrated by Falmouth Illustration alumna and rising star Ana Jaks. The standard of work in this year’s book is extremely high, showing the full range of talent that is about to graduate from the BA(Hons) Illustration course here at Falmouth. All staff that have taught the current final year students through the course can, alongside the students, take a share in the high quality of the work published in the book. Particular credit goes to the third year staff for the huge effort that they have made to research, design co-ordinate the production of this book.